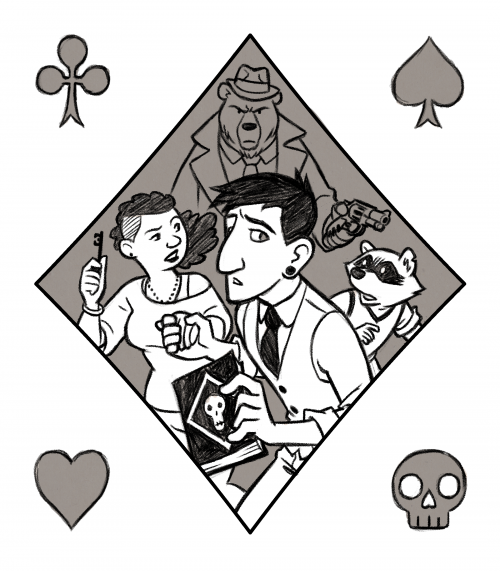 The noir-ish tale of a gambler pushing his luck in a city of crime. This is a project I’ve been wanting to write & draw for quite a few years now. I had created a Patreon page so people could show support for the project and kick in a little bit of money while I worked on turning it into a webcomic. But I’ve put it all on HIATUS since my time and energy is currently being used up by my day job storyboarding animated tv shows.